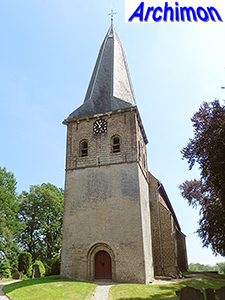 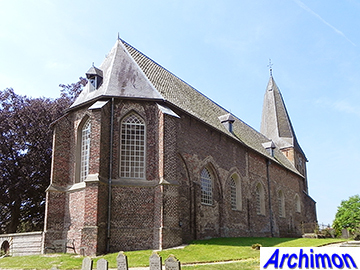 Dorpskerk ('village church') is the modest common name for this church which originally was a Catholic church dedicated to and named after Sts. 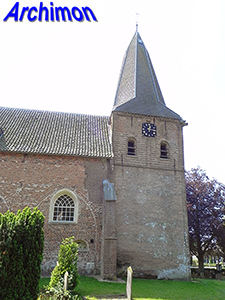 Petrus and Paulus and which has served as a protestant church since the Reformation. 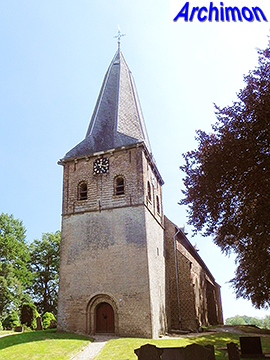 It's a 15th-century late Gothic aisleless church with a Romanesque tower from the 12th century. 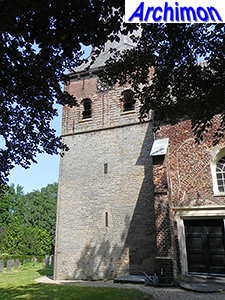 The lower part of the tower is made of tuff and has a Romanesque entrance which only gives access to the tower. 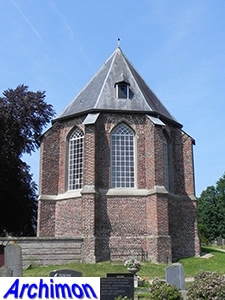 The church stands at the highest point in the area, a location it probably shared with a castle originally. 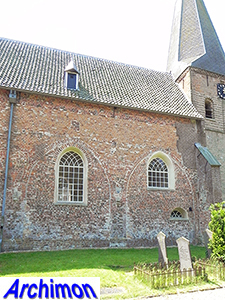 The earliest mention of a chapel at this location is from 1310, but the building obviously existed long before that and eventually became a parish church. 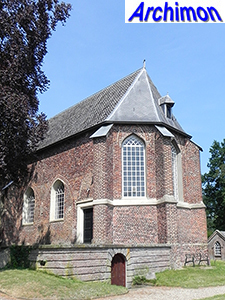 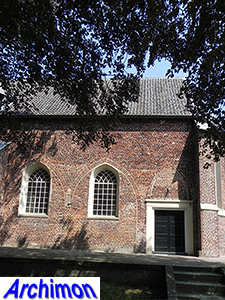 Permission to replace the chapel with a church was obtained from the bishop of Utrecht in 1392. 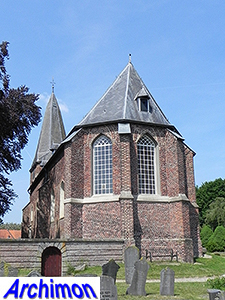 A three-aisled pseudo-basilica was built of bricks while the tuff from the demolished chapel was probably used to heighten the tower. 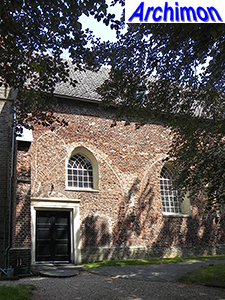 The northern side-aisle was demolished in 1740, with the one on the south side following later that century, leaving the tombs of two noble families outside the church. 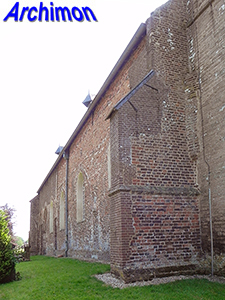 The remaining aisleless nave clearly shows its origins as the arcades between nave and side-aisles, with the arches bricked in and with new windows added. 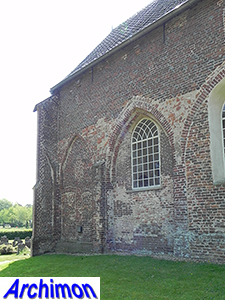 At the northern side, a fragment of an arch in the buttress between nave and choir indicates the former presence of a sacristy. 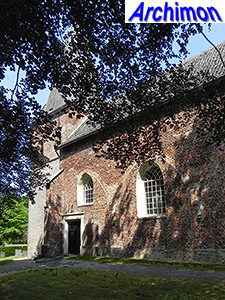 At an unknown time inside a wall was built between the nave and the choir. 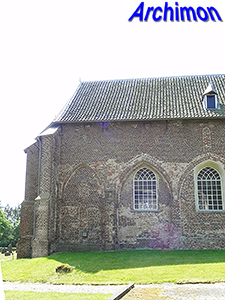 The vaults were replaced by a plastered wooden ceiling, probably in 1815. 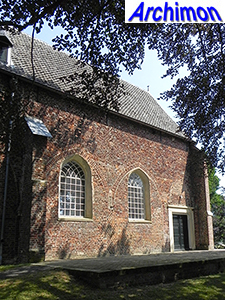 Although the protestant community of Hoog-Keppel still uses the church for its services, it has been sold to a heritage conservation foundation in 2012 and has been rented since.